Think crochet is a skill of yesteryear? Think again.The Littlest Crochet Shop is here to make old-fashioned needlework new again. 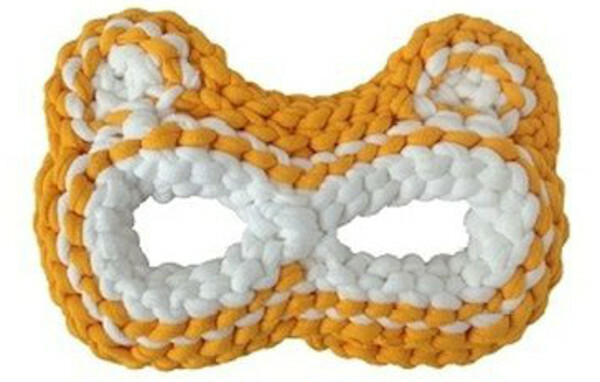 Just look at this cute Lowe Wolf Mask, which comes in orange, pink, blue, yellow, grey and green. For $21 each, these handmade masks will give your wild one hours of howling fun! 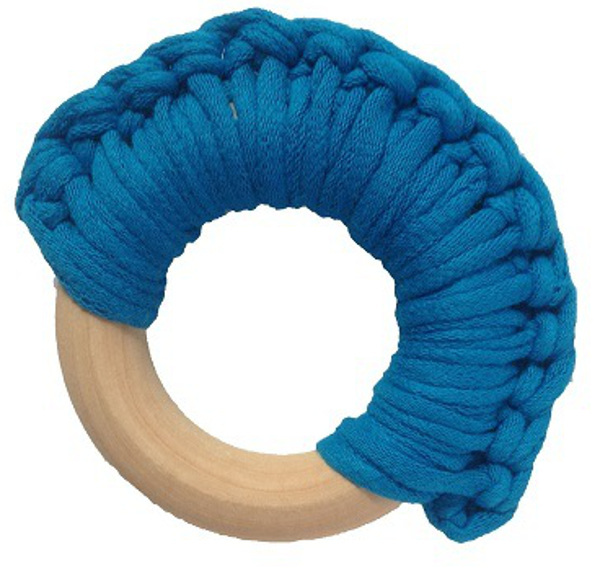 For bubs, there’s the wooden teething ring with vibrant cotton crochet for soft chomping. At $9.50, these rings come in seven fun colours. 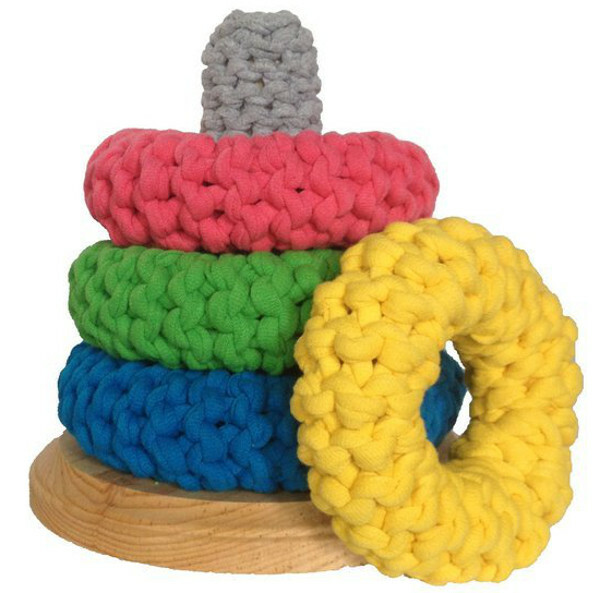 My favourite crocheted delight is the toss and stack rings. Just think of a yarn-bombed game of quoits and you’ll get the idea! At $47, these rings are easy for little ones to grasp and ideal for learning colours. Tots will have fun with the Rattle and Wooden Pin Bowling Game. It comes with six wooden pins and a rattle ball, which is crocheted using recycled t-shirts. Costs $31. The Littlest Crochet Shop stock even more crocheted baby and kids toys including stacking bowls, rattle sets, shakers and masks. The Littlest Crochet Shop ships to Australia for between $6 to $10 for all kids toys.